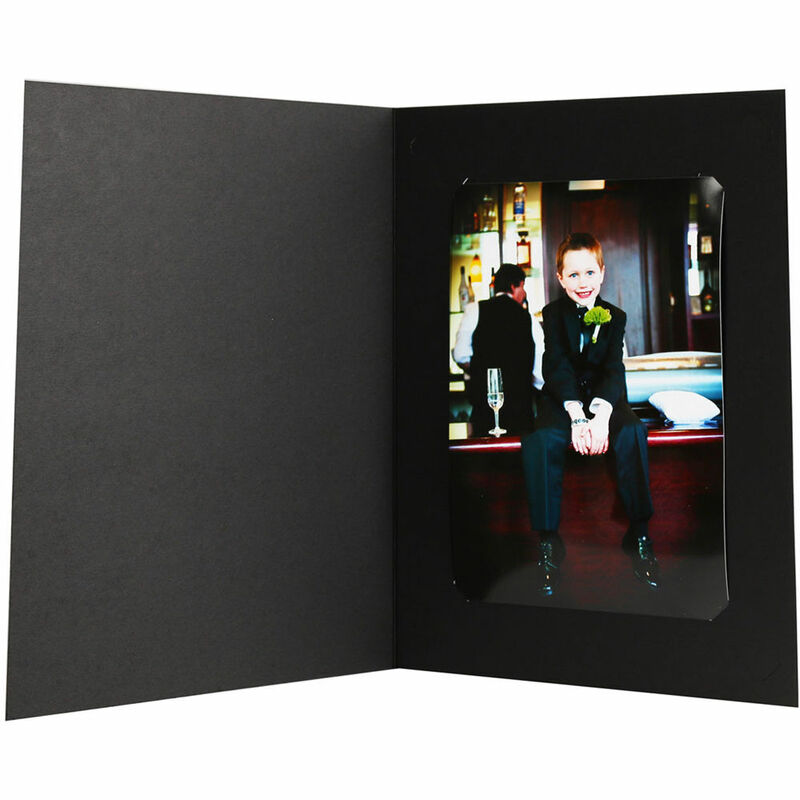 The 25-pack of black Slit-Cut Photo Folders from National Photo Folders has two pre-cut openings in each corner of the folder, which accommodates one 4 x 6" or one 5 x 7" print. A photograph within the folder makes for a nice gift to be displayed, and some event photographers like to use them as a keep sake for clients at social gatherings. The photo folders are made from black recycled paper. Box Dimensions (LxWxH) 7.8 x 5.9 x 1.4"
Slit-Cut Photo Folder for Prints (4 x 6" and 5 x 7", 25-Pack, Black) is rated 4.0 out of 5 by 2. Rated 5 out of 5 by Steve G. from I would buy these folders again! These Slit-Cut folders are a lot faster to use that the slip-in folders I've used in the past! I shot a couple of events where they like the prints by the end of the event. These folders save me a lot of time and stress. Is it cardboard or paper? How thick is it?